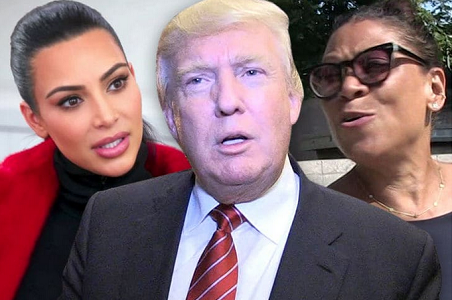 Kim Kardashian West will meet with Donald Trump to continue her quest to free imprisoned great-grandmother Alice Marie Johnson. TMZ sources tell say Kim and her attorney, Shawn Holley, have scheduled a meeting today with Trump to lobby for to get Johnson's sentence commuted. She's currently serving a life sentence at the Aliceville Correctional Facility in Alabama. Recall Kim and Shawn have been working with Ivanka Trump and Jared Kushner for months to free Alice, but now the President is getting involved directly. Although Kim was a Hillary Clinton supporter, it's been said Trump is on board with helping since Ivanka supports the cause too and Kanye's recent public support of him certainly didn't hurt. Kim will make the trip without KUWTK cameras or her sisters. Recall the 62-year-old great-grandma was sentenced to life in prison without parole in 1997 on money laundering and drug conspiracy charges -- her first offense.